This costume wasn't originally planned. Some times, you just have to go where the will takes you, and this cosplay is certainly one of those. 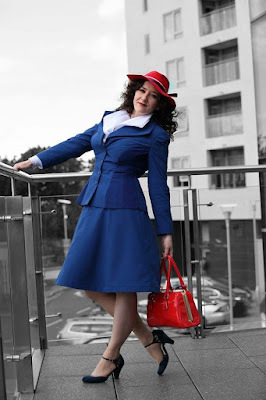 I've had a thing for a while about the 1940s and its fashion, which was thoroughly reignited when I saw Marvel's Agent Carter TV show that came out this year. 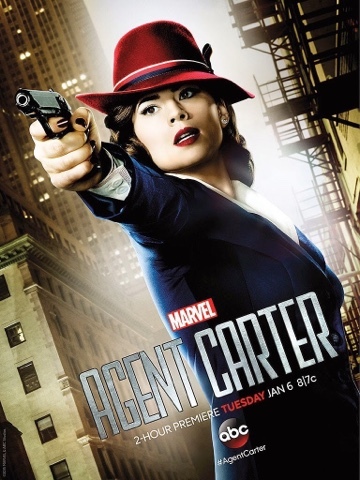 With every episode I saw I just knew that I had to become Peggy Carter. She's everything I strive to be- smart, witty, pretty, competent, and kickass while still being very feminine. After about 2-3 episodes I was completely obsessed. I'm quite pleased that I managed to pull this all together in the time I did as my timelines usually are significantly longer than this, but really the fact she's finished was definitely a case of mind over body as my fibromyalgia has been acting up again the last few weeks. June... blergh. 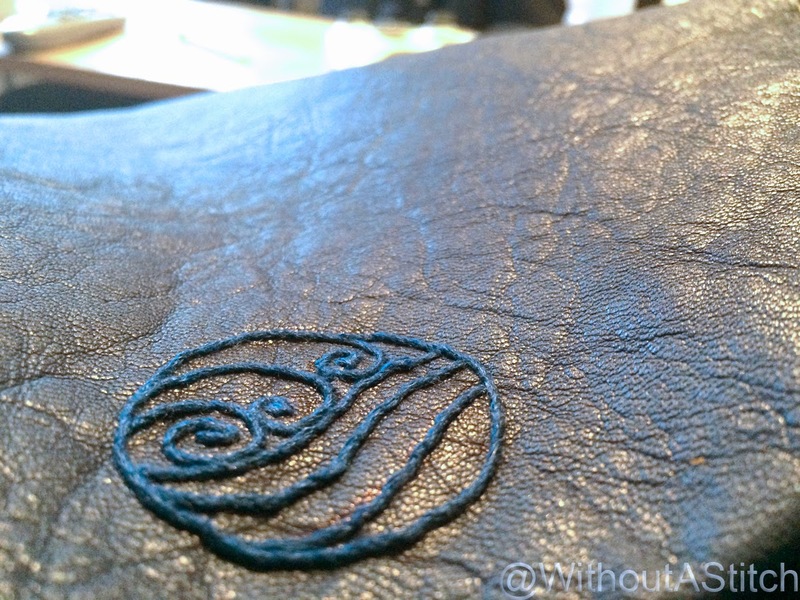 There were a bunch of things I simply bought- shoes, earrings, tights, Walther PPK, handbag. Peggy's actress, Hayley Atwell, has been kind enough to tweet out details like her lipstick and nail polish, so I have those too. I did take some liberties with her handbag as I wanted one that I would use outside of the costume, but it still had a vintage vibe to it and the colour worked really nicely with the hat. I'm one of those people, you know. One of those who can't be happy just with things being close enough to correct. It has to be right. The suit and the hat are things that I feel have to be *just right* as they are basically the whole of the outfit, but I'll leave the suit until next week. 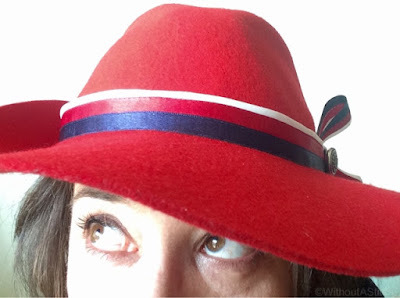 The hat as it arrived. Her hat was not as easy as it might seem. 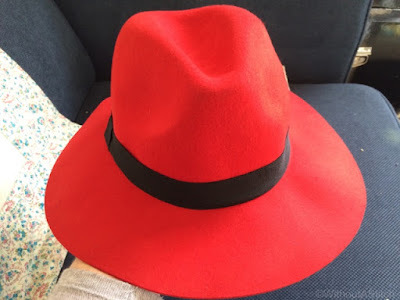 I can't afford a Stetson Stratoliner, and most generic red fedoras either had too floppy brims, stood too tall on the head, or had the wrong look on the top of the hat. I fixed this with serious amounts of spray starch and a lot of futzing and fiddling to get the curves in the right place. I also cut the hat and removed about an inch of height to make it look more like I wanted it too. This worked out well, but ended up meaning I couldn't push it too far down my head so the wind plus hat was interesting. The last of the hat was the ribbon and I tried desperately hard to find ribbon that I wouldn't have to make, to no avail. Everywhere wants to sell you red, white and blue ribbon (colours in that order) rather than any other combination. 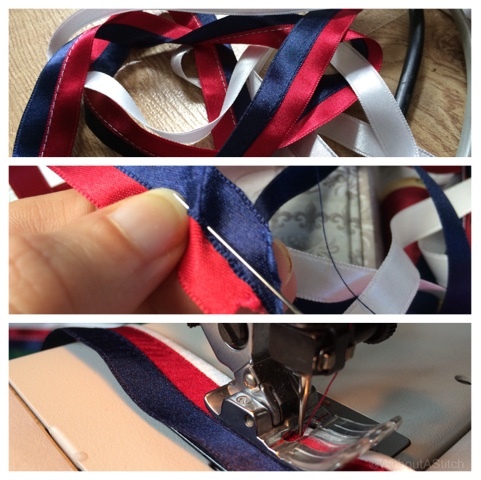 In the end I took three different colours of satin ribbon and sewed them together, folding the white in half to give it the right proportions. 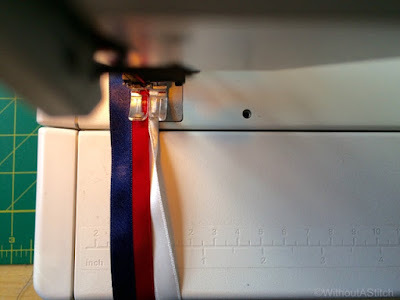 I first tried hand sewing the ribbon (as I was feeling pressed for time and had a long bus journey within which to do it) but I didn't like how the ribbon reacted to the stitching, becoming a bit wavy. In the end I stuck it on the machine. It was easier than I thought it would be, and ended up looking well. 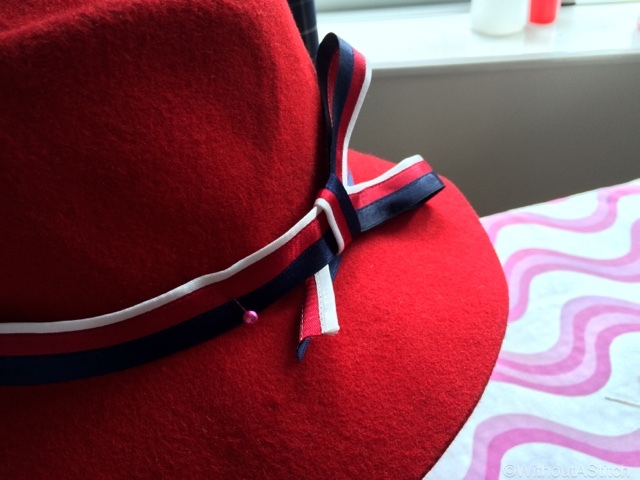 I tacked down the ribbon around the hat, added a button that looks vaguely like the one on Peggy's hat and called it done. I rather enjoyed making this. It was fun, and didn't take a dreadful amount of time. Hi Dianna, These posts are as close as I'm probably going to come to the step by step process. If you look at the second post on the suit, I used the Simplicity Pattern 3688. It has step by step process for its pieces, but if you want an accurate jacket, you will still have to modify it. I can't really explain how I did that as I don't have the photos to do so, but I had to change it to allow for my DDDs and to make it more accurate. Effectively, I built the original pattern out of random fabric, drew the lines where I wanted them to be instead and adjusted the fit, and then cut those out and redrafted the patterns from there. I did it about 5 times I think to get the fit the way I wanted it, so I definitely don't have all the instructions for that. I also won't post that pattern as its based off of the Simplicity pattern which might fall under copyright. Also where'd u get the hat? The hat was a random find on eBay. I just bought a red felt hat with a wide, but not floppy, brim. It was then heavily customised as you can see. 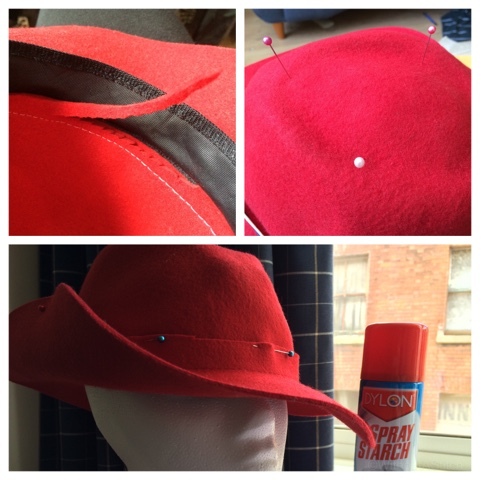 I think almost any red felt hat would work, but you need to make sure the brim is wide, but not floppy. Floppy ones will have too much brim once you try to straighten out the brim if that makes sense. You're welcome! I try to share with the Peggy nation. The hat was cheap from Amazon or eBay so you should be able to find one online even if you can't get it locally. Best of luck with it!